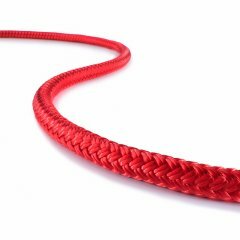 Safety Pro-12 is an allround rope featuring longevity, good abrasion resistance, and low stretch. 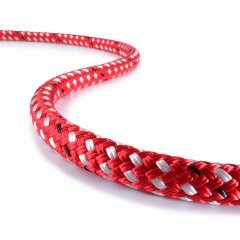 Our Safety Pro-12 features a one-of-a-kind design that sets it apart from other allround ropes. 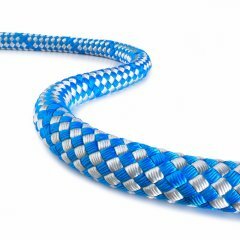 As a result, this allround rope is easy to knot, while counteracting any flattening that can be encountered on other 12-strand climbing ropes. 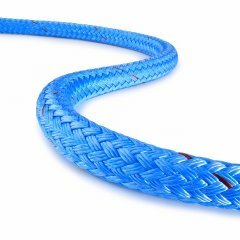 The design of Safety Pro-12 makes it possible: the twelve strands of this rope consist of a lightweight polyolefin core surrounded by hard-wearing, durable polyester. These twelve strands are braided around a bundle of our blue polyamide-core yarn. This results in a 12-strand kernmantle hybrid structure that creates the best possible balance between firm and supple. The high strength and outstanding abrasion resistance of Safety Pro 12 also make it a great rigging rope. Sirius Bull Rope is one of TEUFELBERGER's general purpose ropes. Especially for arborists, it is considered a must-have among rigging ropes. Endura 12 is one of our allround ropes in the safety and rescue segment. It features high tensile strength and low elongation. Orion 500 is the "jack-of-all-trades" among our safety and rescue ropes. Its main strengths are good grip and spliceability. 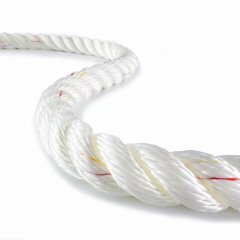 3 Strand Nylon is an allround rope from TEUFELBERGER and ideal for fall arresters, vertical lifelines, and lifeline installations. Endura Braid is an allround safety and rescue rope. It has high tensile strength and low stretch. Sta-Set, an allround rope from TEUFELBERGER, is known for its low stretch and long service life. 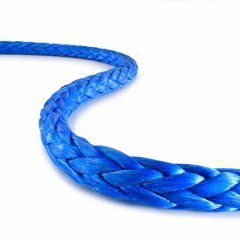 V-12 from TEUFELBERGER is a rope that consists of 100% Vectran® and features high strength and low stretch. 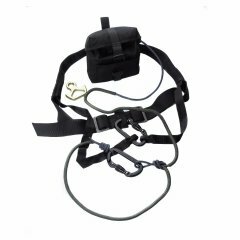 The Micro Rappel Kit is an escape system consisting of a rappel harness, descender, 2 carabiners, Tech Cord, and usage log.